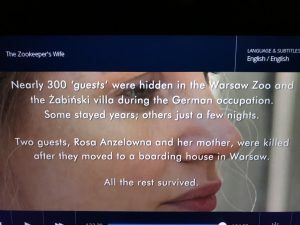 Janet and I are on a plane to Germany watching an intense movie about Nazi times – about Poles risking their lives saving Jews. 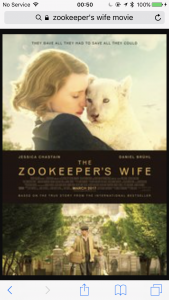 “Zookeeper’s Wife” is very worthy to watch! 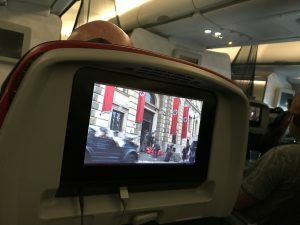 I will watch it again. If I was there Janet & I would do the same! This kind of movie stirs us to be our best. It challenges us to resist evil, socialism and tyranny. It demonstrates the beauty of freedom and human life.